WASHINGTON (January 25, 2019) – (RealEstateRama) — Many Realtors®, members of the National Association of Realtors®, go beyond helping consumers buy and sell homes by giving back to their communities through volunteer work. In fact, according to NAR’s Community Aid and Real Estate report, nearly 70 percent of Realtors® volunteer in their community each month. To recognize that commitment by Realtors® across the country, NAR is currently accepting applications for the Good Neighbor Awards from Realtors® who have made an extraordinary impact through volunteer service. Ten finalists will be announced in September and the public will have a chance to vote for their Web Choice Favorite. Judges will select five winners who will be announced in the November/December issue of REALTOR® Magazine and will receive a $10,000 grant for their nonprofit organizations. The winners will be recognized at the 2019 REALTORS® Conference & Expo in San Francisco, receive travel expenses to the conference, and also gain considerable national and local media exposure for their cause. In addition to the winners, five honorable mentions will each receive a $2,500 grant. Since 2000, the Good Neighbor Awards has donated more than $1.2 million to Realtor®-led nonprofits. The Good Neighbor Awards is supported by primary sponsor realtor.com® and Wells Fargo Home Lending. “We are proud to renew our commitment to the Good Neighbor Awards, particularly in the 20th year of the program,” said Ryan O’Hara, CEO of realtor.com®, the Good Neighbor Awards’ primary sponsor, and the sponsor of the Web Choice Favorite, which gives additional grant money to the three finalists who get the most votes from the public. Last year’s Good Neighbor Award winners contributed thousands of hours to their causes and raised millions of dollars. 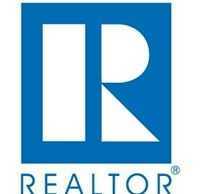 They drew a standing ovation from more than 5,000 Realtors® and guests during the annual conference in Boston. The 2018 winners were Omayra Borges, Reality Realty, San Juan, Puerto Rico, cofounder of Fundacion Mochileando 100×35; Chet Choman, Colorado Realty and Land Co., Alamosa, Colorado., cofounder of La Puente Home; Jeremy Lichtenstein, RE/MAX Realty Services, Bethesda, Maryland., founder of Kids In Need Distributors (KIND); Joy Nelson, Haugan Nelson Realty, Watertown, South Dakota, founder of Joy Ranch; and Elias Thomas, III, EXIT Key Real Estate, Shapleigh, Maine, leader of a Rotary International project to build dams in rural India. 2018 Good Neighbor Award winner Joy Nelson says that her charity continues to benefit from the media exposure that resulted from winning the Good Neighbor Award. Nominees are selected based on their personal impact on the community through volunteer work. To be eligible, nominees must be NAR members in good standing. Good Neighbor Award entries must be received by Friday, May 10, 2019. For more details, judging criteria and a nomination form, call 800-874-6500 or visit nar.realtor/gna. realtor.com®, the Home of Home Search, offers an extensive inventory of for-sale and rental listings, and access to information, tools and professional expertise that help people move confidently through every step of their home journey. It pioneered the world of digital real estate 20 years ago, and today is the trusted resource for home buyers, sellers and dreamers by making all things home simple, efficient and enjoyable. Realtor.com® is operated by News Corp subsidiary Move, Inc. under a perpetual license from the National Association of REALTORS®. For more information, visit realtor.com®. Wells Fargo Home Lending is one of the nation’s leading originators and the leading servicer of residential mortgages, offering home loans to consumers through the country’s largest network of mortgage locations and bank branches, online, and via phone. With more than 4,400 Home Mortgage Consultants across the country, expanded digital capabilities, and products and programs for today’s market, Wells Fargo is committed to meeting Realtor® expectations and homebuyer needs. Focused on a culture of caring for communities, Wells Fargo is a proud sponsor of both the Good Neighbor Awards and Volunteering Works, both of which recognize the extraordinary contributions made by Realtors® in the communities where we, together, live and serve. The National Association of Realtors® is America’s largest trade association, representing over 1.3 million members involved in all aspects of the residential and commercial real estate industries.